You can now lock your accounts in AccountsPortal, which will prevent you (or anyone else) from entering any transactions up to a specific date. For example, you may wish to lock your accounts after you have prepared your Annual Financial Statements at the end of the year, or after each VAT report. 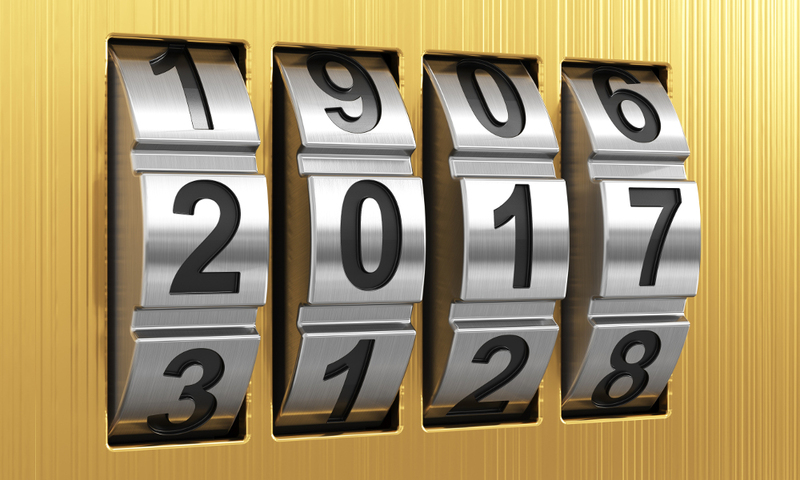 To lock your accounts, navigate to your company's Financial Settings and adjust the Lock Date field. You can manually set this to any date that you wish, and as often as you wish. Once the changes have been saved, then you will not be able to create or edit any transactions with a date on or before the Lock Date. To change your lock date, update the date displayed in the ‘Lock Date’ field and select ‘Save’. You can remove all locks by removing the contents of the lock date field. This will allow transactions to be saved with any date. You can optionally choose to have the lock date automatically updated. 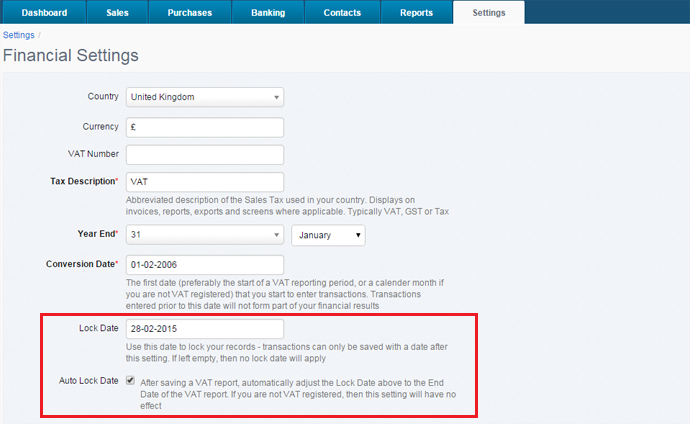 If you enable the Auto Lock Date option, then the Lock Date will be automatically set to the End Date of when a VAT/GST/Tax report is saved. Note that if the End Date of the tax report is earlier than the current Lock Date, then the Lock Date will not be updated.